With the long drought in California, everyone is getting involved in saving water. There are many ways to help. Everyone is doing their part. Even Homeowner’s Associations (HOAs) are working to conserve water. But that was not the case in the past. In the “old days,” many HOAs refused to allow artificial grass. Even as a water conservation measure. Many remembered the “old” faux grass from miniature golf courses or near pools. It looked like plastic instead of real. But times have changed. Artificial grass now looks like a real grass lawn. Due to a new law in California, the attitude of HOAs has changed as well. HOAs are allowing homeowners to install fake lawns. Not just any fake grass, but lawns that look like real and great! Let the real experts at Watersavers Turf who know artificial grass help you find your perfect lawn. Why the Change by HOAs to Synthetic Turf? A few HOAs have always supported the installation of synthetic turf. But many HOAs refused to allow synthetic turf. Beside the “plastic look” mentioned above, there were other concerns. Some were concerned about the health hazards. Others worried that the odor of pet urine would remain. Some HOAs were worried about how it would look. Their fear was that the lawn would look so fake, it would destroy the look of the neighborhood. Synthetic turf has changed in the past forty years. Even in the last five years. Health hazards are not a worry. Pet urine odor does not linger with the proper infill. With these changes, HOAs are rethinking their objections. In a subdivision in Santa Maria, California, an HOA is suing a homeowner for not installing an artificial lawn. Yes, that’s right! The HOA wants the homeowner to install a fake lawn! The owner installed rocks and gravel in his front yard. Doing this was against the HOA rules. He did not get prior approval for the rock yard. Instead, he put in rocks without permission. Neighbors complained the yard is ruining the look of the neighborhood. The HOA agreed. The HOA now requires him to remove the rocks and put in a faux grass yard. Part of the change is a new law. This law is AB 349. Governor Brown signed it in September 2015. It was in response to the drought crisis. Assemblywoman Lorena Gonzalez of San Diego sponsored the bill. The new bill states that HOAs cannot forbid or prevent homeowners from installing fake lawns. It does not matter what the rules or regulations of the HOA state. 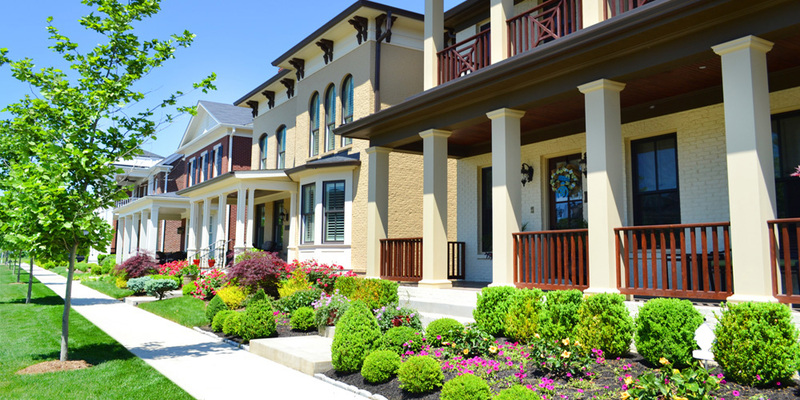 Just remember – owners still need to have the approval of the HOA to replace their lawn. Be sure to get that approval before you start! Why Did the Law Pass This Time? What’s That Mean for the Homeowner? HOAs cannot penalize homeowners who install faux lawns. HOAs have to approve the installation, but they cannot deny the installation. An additional provision in AB 349 states that when the drought crisis has ended, HOAs are not permitted to make homeowners replace the artificial lawn with real grass. You don’t have to replant when the water crisis ends. You save money, time and water. Homeowners get to keep their turf grass lawns forever! There are other benefits from installing faux grass. Some water districts offer rebates to encourage installation of synthetic turf. One homeowner in a gated community got a letter from the water district thanking him for reducing the amount of water he used after he replaced his lawn! Be sure to check with your city, county and water district for any rebates. HOAs and Homeowners Working Together! With the new law, HOAs and homeowners are working together to help conserve water during the drought. With the help of expert installers, a fake lawn can be yours with HOA approval. Be sure to check with the friendly folks at Watersavers Turf for a free estimate or call 844-974-8873 to ask any questions you might have. If you are out and about, stop by one of our seven locations and see how faux grass has improved since you were a child. Together, we can do our part to save water.